Egyptian Protests vs Charlie Sheen…Which side would you follow?? What does this quote mean? Why is it important? I bet some of you guys are asking yourself these questions. Well I have got the answers! When you are going through your day, watching the shows you are obsessed with such as Jersey Shore or when you driving to school with your favorite radio station on; have you ever thought about how many ads you are listening to? While you watching or listening to those things, you aren’t listening for the ads but somehow that jiggle always get stuck in your head. “Five.Five Dollar.Five Dollar Foot long.” Do I even have to finish before you know exactly what this is advistising? Even though you are not looking for those catchy ads, they are there, they are everything. And they can be in your head for hours. But something I found even more interesting is what ads come on at what time or what website. For example while I was watching Pretty Little Liars (a show directed to teenage girls) this Covergirl commercial﻿ ﻿http://www.youtube.com/watch?v=ZMt6TFO0zn4 (unfortunally the link button isn’t working on my icon menu, I guess technology isn’t always the best way to go about doing things) ﻿﻿﻿﻿came on and automatically got my attention. How so…you ask? Well first because of Taylor Swift, she is a superstar, girls look up to her and when I am shopping for makeup I will remeber she was the spoke person. Anything else you noticed? Well, at the end it says how you can learn more on facebook, which is something that teenages are on everyday, so they are familiar with it and will more likely visit it on Facebook than another website. Breakfast. Facebook. School. Facebook. Facebook. Maybe some studying. Facebook. Bed. That is the usual schedule of a teenager in high school or college. It’s kinda sad isn’t it? We need to get lives, however I did learn alot about media based on being on Facebook all day. On Facebook you can read other people’s statuses and thoughts on anything they are interested in. Even though it is not a great source, I get alot of the news information through Facebook. Like protests in Egypt…who cares? 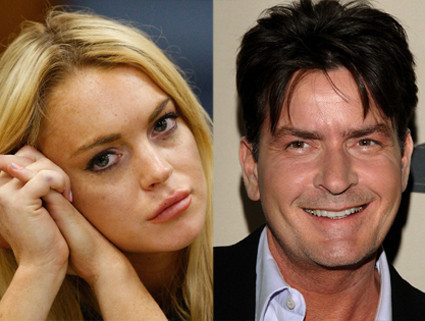 I want to know more about Lindsay Lohan and Charlie Sheen’s problems. Cause celebritites are what I am interested, even though the protests are more important to the world, but to me the celebrities’ problems are more important. And I think this shows how my media habits affect my knowlegde of the world. If I went to NYTimes.com or BaltimoreSun.com I would get more of a variety of news. And as a upcoming person to the working society I should learn more about the world’s news. But… I probably won’t, celebrities’ mistakes are just too entertaining! Previous The Printing Press to the IPhone…Where has the time gone? Next Mass Media- Can’t live with it..Can’t live without it!